"SIUE Again Selected as Promising Place to Work in Student Affairs!" 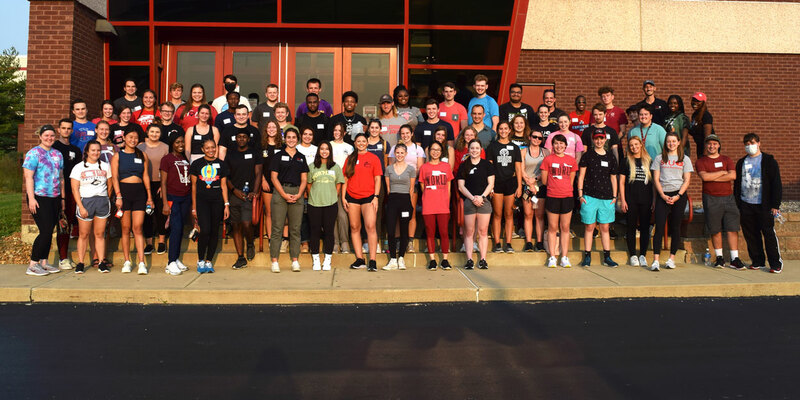 The SIUE Campus Recreation Department provides opportunities for student engagement and student development through recreation, fitness, sport and play to the students of SIUE. This focus on student engagement and student development extends to our employees as well. All staff in Campus Rec, including approximately 150 students and a team of nationally recruited graduate assistants and professional staff, are invited to contribute their ideas and strengths, build their job skills, participate in professional development opportunities, and take advantage of advancement opportunities. This kind of employment model allows us to continuously refine and build upon our established strengths and traditions while harnessing the continuous sources of innovation and invigoration that comes from our student and graduate assistant staff. This collaboration could explain how SIUE Campus Recreation engages about 80% of the University’s students each year with our department offerings! At SIUE Campus Recreation, we treat our employees just like our participants. We get excited when they come through our doors. We value them as people and enjoy our connection to them. We want them to feel challenged and expect them to perform at their best. 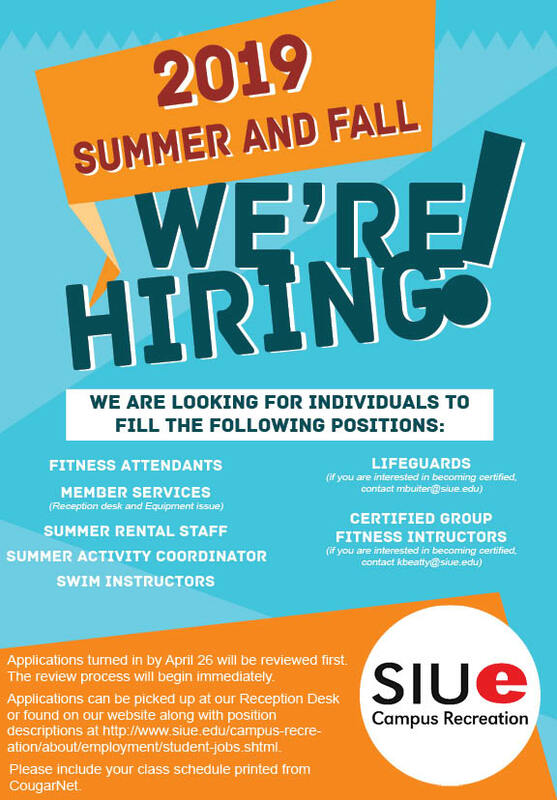 If you would like to be a part of the SIUE Campus Recreation team, visit our current employment opportunities.